A hauntingly beautiful love story for the ages based on one of Hans Christian Andersen's most beloved stories and the classic Disney animated film. 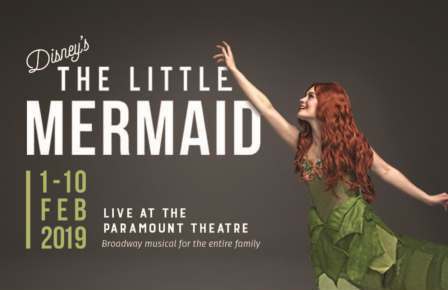 With music by eight-time Academy Award winner Alan Menken, this fishy fable will capture your heart with its irresistible songs, including "Under the Sea," "Kiss the Girl," and "Part of Your World." Friday, February 1 - 7:30 p.m.
Saturday, February 2 - 7:30 p.m.
Sunday, February 3 - 2:00 p.m.
Saturday, February 9 - 7:30 p.m.
Sunday, February 10 - 2:00 p.m.